If you do like bicycle rides, then you gonna love this post. Why? In today's article I want to share with you my favorite bike riding fashion staples that are ideal for stylish cycling days. Believe me, everyone gonna turn their heads when they will see you on a bike! This is a perfect Polyvore fashion resource for stylish cyclists who want to ride their bikes and look pretty chic and refined. 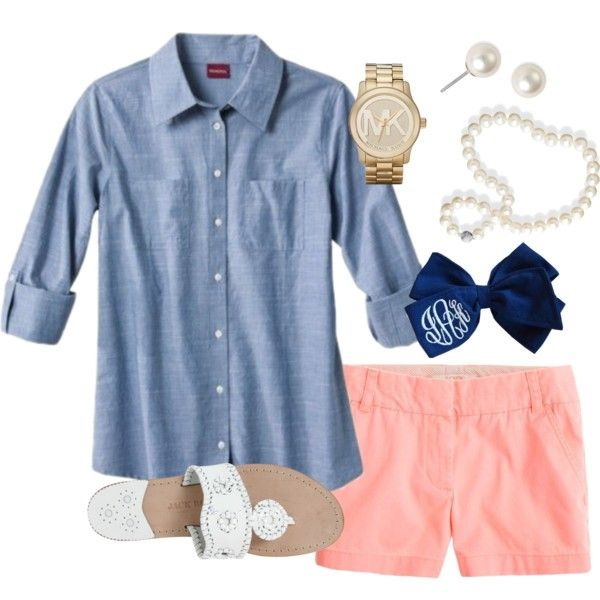 A lovely chambray shirt is styled with a pale pink shorts, thong white sandals, cool golden watches and pearl white necklace. If you want to create a luxury sporty street style outfit then you better get inspired by these marvelous Polyvore sets. I've got a perfect compilation of comfy and relaxed outfits that will easily underline your individuality. If you think wearing luxe sports garments is a hard thing, then you better think twice, as I've got a perfect selection of different combos that are easy to style and wear. Believe me, each one of these looks is a perfect way to make you look special and trendy. Read on to find out more and let me know your thoughts in the comments below. Cream cropped tank top looks pretty cool teamed with hippie blush floral slacks, pastel blue satchel bag and blush brogues. This is denim skirt situation! Today's post is dedicated to my favorite fashion staple that is so on trend this year. Yes, I am talking about denim skirt. This beautiful piece has gotten makeover, in a chic way. You can find so many interesting styles to choose from, from fitted pencil skirts to front button-down minis. I decided to share with you my favorite ways how to make this beautiful bottom garment look dressy and unique on you. So, what are you waiting for? Scroll down to find out awesome ways how to dress it up in a modern way. I don't know how about you, but I am absolutely in love with double denim looks. Here we see lady who appears in a light blue denim shirt tucked in high-rise front-buttoned knee-length pencil skirt. I love the way this skirt is unbuttoned from the bottom. 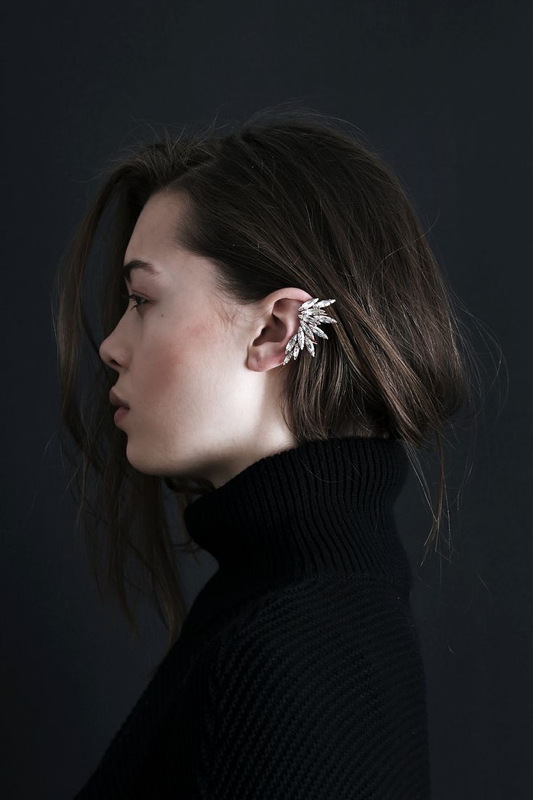 In today's post we are going to see my favorite 18 single earrings you should buy this year. This trend comes back this year offering us absolutely spunky and hot designs. I am pretty sure, each one of the showcased styles will freshen up all your neutral and basic color outfits. Personally, I consider these earrings to be edgy, yet easy to pull off. A single earring has the ability to make any girl or lady look cool and chic. Keep on reading to find out more about this pretty jewelry. If you are in search of something relaxed, functional and trendy, then how about marrying boho chic with hipster fashion? This is a perfect combination for those ladies who want to make a statement on the streets and wear something unique and special, without pulling too hard. Personally, I am one of those persons who wants to see only hipster style mostly with a little boho chic clothes in my wardrobe. If you are brave enough to wear boho edgy styles, then you are more than welcome to look through this Polyvore fashion sets compilation. Read on to find out more about these two styles combo possibilities. This outfit looks really fun, relaxed and casual. We see a black-white striped spaghetti strap day dress worn with wide-brim black fedora, chunky black flat sandals, fringed backpack and rounded plastic sunglasses. In this post we are about to see the best casual cocktail style outfits to try this year. You are going to be wowed and pleasantly surprised by variety of Polyvore fashion sets. Before we start looking through various ideas and tips that will help us to create your lovely casual party look, I wanted to make it clear and explain to you this style. 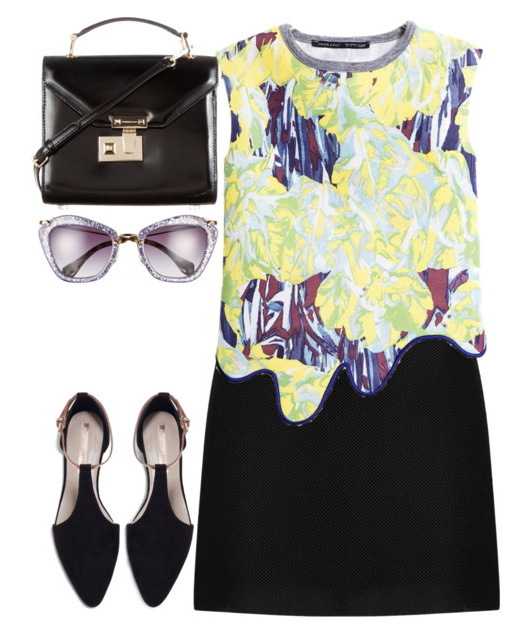 We see a creative outfit that consists of an asymmetric abstract print sleeveless T-shirt teamed with black skirt. Complete the look by adding pointed-toe velvet black shoes, black leather shoulder bag and glitzy geometric shaped sunnies.